Nutsedge is difficult to control because the plants form small underground tubers and rhizomes. Most of these tubers are found in the top six inches of the soil but can also be found even deeper. Removing the tubers by hand is the best way to remove small plants but may require continued monitoring and hand pulling. 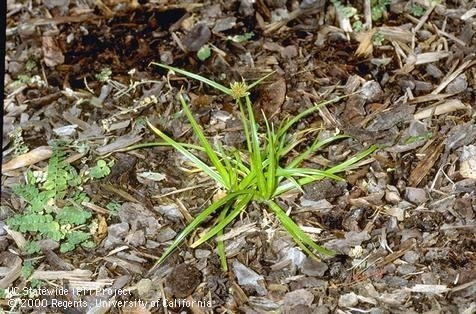 A nutsedge infestation is an indication of an underlying problem such as waterlogged, poorly draining soils. For information on how to prevent nutgrass from becoming established or how to manage it, consult the Pest Notes: Nutsedge. I second the sentiment. Nutgrass has driven me crazy. I have learned to live with it after many years of pulling, pulling.